Your website will include a ‘plug in’ Facebook store. This will appear as a ‘shop’ tab on your Facebook business page and allow Facebook users to browse through your products while in Facebook. When they click on a product they are interested in, it will then take them to this product on your website so they can then purchase it (and any other products they want). We launched this feature in 2011 and found huge success with an increase in traffic and sales for our clients that had this feature implemented. 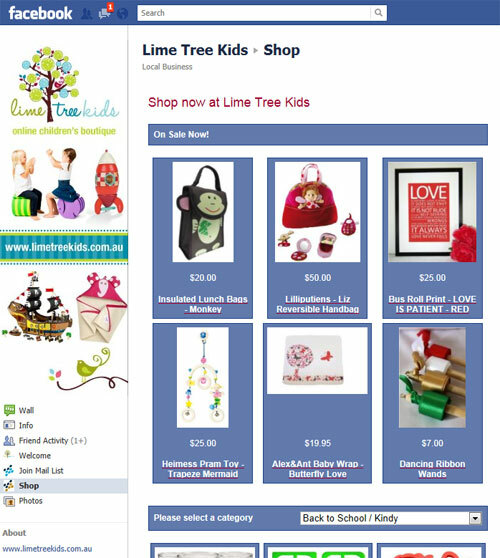 The Facebook shop automatically takes its information from your CMS so when you add, edit and delete products, they are instantly reflected in your Facebook shop. There is no extra work for you to do to maintain it. MantisShop is an Australian built ecommerce platform with many featuers that other Ecommerce platforms do not have. MantisShop was created specifically for Australian businesses to sell their products locally and internationally and has a range of included features that help you grow and manage your business efficiently and easily. Australia's best custom designed ecommerce solution for Australian businesses of all sizes. Don't pick a boring template.. get a beautiful custom designed website built on our robust and extremely powerful ecommerce platform.